Shimmer Badgers hard at work. It is a well known fact that Shimmer cannot be found in the wild and does not grow on trees. Shimmer is only brought to fruition through a careful nurturing and monitoring process, which involves practices we are revealing here for the first time. 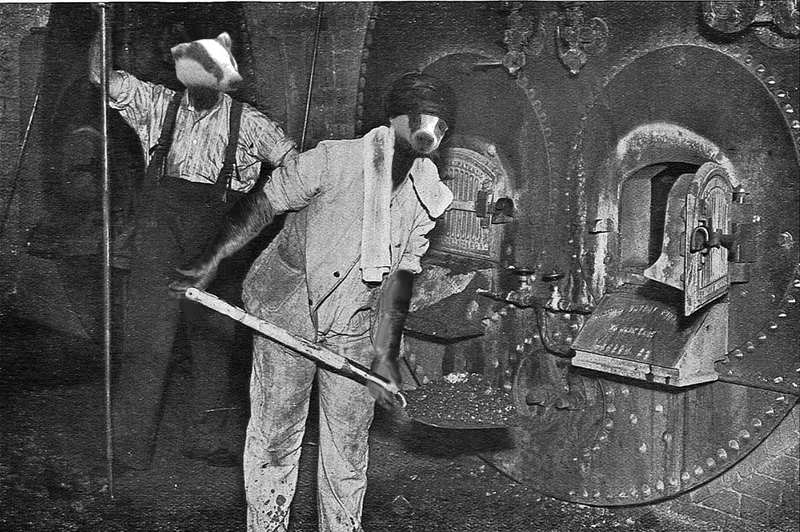 Just as last year we bravely exposed the horrors of slush-reading badgers, we are now opening the door upon Shimmer’s very own badgers, and how they cook Shimmer. Cover carefully with fresh saltwater tears. Simmer. As their thoughts turn to the patriarchy, they toss that jar straight into the recycling bin and then badgers reach for ghosts, and your lover’s heart. They julienne the ephemeral ghosts into confetti and — Wait. Ghost confetti leads to cake? Naturally it does. My fondness for cake is well-known, so it is only proper that Beth and I conjure up a Shimmer cake. Something sweet with a boozy edge and hidden depths, much like an issue of Shimmer. Preheat your oven to 350. You can bake this cake as a 9×13 single layer sheet, or cupcakes (22-24 in number), or a 12-cup Bundt. I would not recommend traditional round cake layers for this. The most Shimmery way to build this cake is via Bundt pan, given what we mean to do to it in the end… For a 9×13 pan, or your Bundt, be sure to butter and flour the pan; cupcakes should use cupcake papers! Sift your dry ingredients together and set aside. In a larger bowl, or the bowl to your standing mixer should you have one, beat your butter and sugar until super pale and fluffy. Add your vanilla, and then the eggs one at a time. Add your dry ingredients to the wet in at least three batches, mixing until it’s all nicely blended. Inhale deeply. Doesn’t that smell fantastic? Pour into your prepared pans. 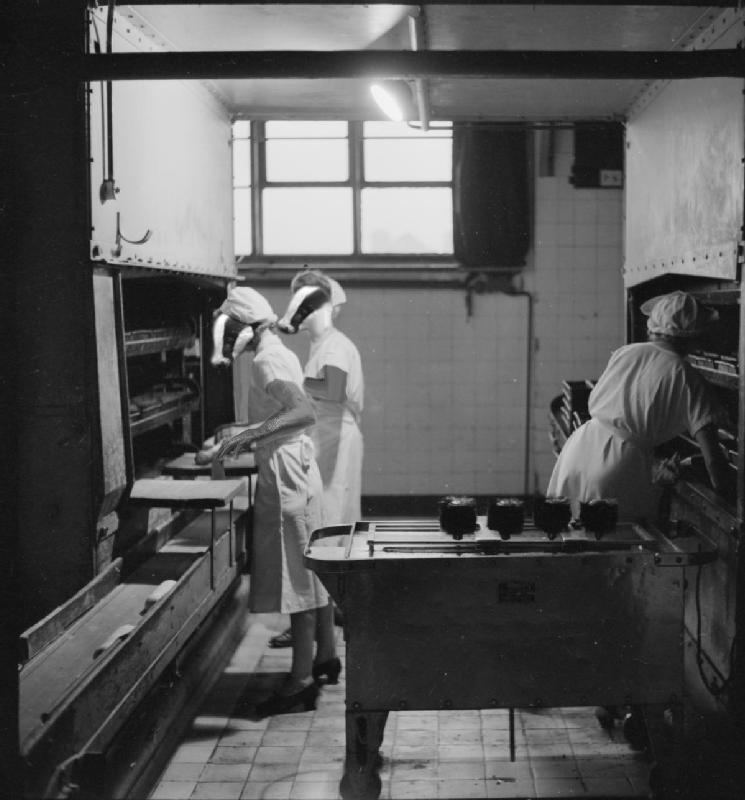 Your bake time may take longer, as it depends on your oven and your location! Just check at the lowest time first with a toothpick, and keep adding ten minutes as needed until your toothpick comes out clean. In all instances, I want you to glaze the cake while the cake is still warm. If you made cupcakes, prick them all over with a toothpick; if you made a 9×13 sheet, prick it all over, too; if you made the Bundt cake, leave it as is: unpricked and in its pan. Carefully pour the hot glaze over the cake. This is going to take a few passes, while the cake soaks up all that boozy goodness. Cupcakes or sheet cakes will be good to go whenever you want to eat them; the Bundt cake should be cooled for another 30 minutes in its pan, before you put a plate over it and flip it to remove it from the pan. E. Catherine Tobler’s most recent book, Watermark, has just been published by Masque Books. Shimmer Magazine publishes contemporary fantasy several times a year. No badgers were harmed in the production of this post. Previous See you at Capclave!